Helensburgh is rapidly becoming a foodie destination and has many award-winning restaurants offering dishes from a variety of different countries. Today, I joined some friends at one of the newest: The Picture House in James Street, which has a mostly Tex-Mex menu. I looked at the menu on Facebook and confess that I wasn’t looking forward to it as it seemed that, although several of the starters were suitable for vegetarians, only one main course was veggie-friendly. As there were two other veggies in the group, we decided to go anyway and share some starters like we do in the local tapas bar. Well, imagine our delight when we found that only half of the menu had made it onto FB plus there was a £4.95 menu which had several vegetarian options. After a lot of thought, I decided to go for the spicy bean burger (which was served with salad on a brioche bun) and chips. My friends had vegetable fajitas, vegetable quesadillas, pulled pork “burger” and, to my disgust, a beef burger! 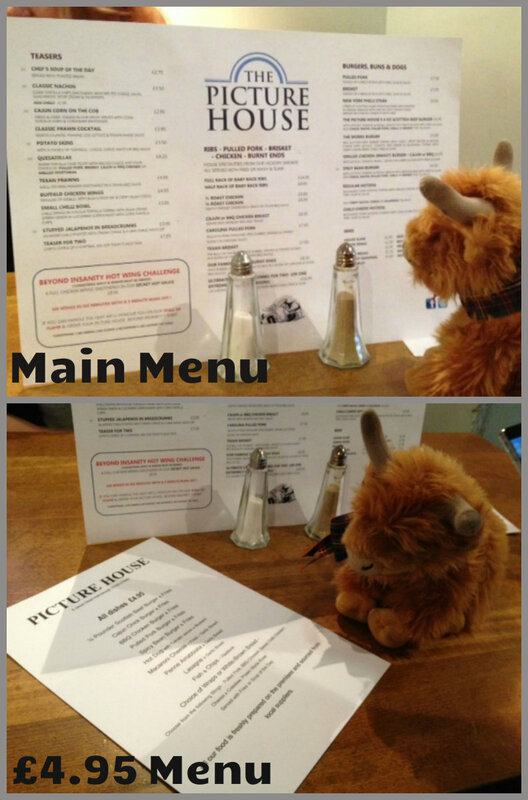 Wee Rab had fish, chips and peas from the children’s menu. It was all cooked freshly and everyone said how yummy it was. We stuck to soft drinks and tea, although I didn’t realise until it was too late that they had ginger beer! I wasn’t allowed to see the final bill, but I know that most of us had the £4.95 menu, the pulled pork was £7.50 and the quesadilla £4,25 so very reasonable. 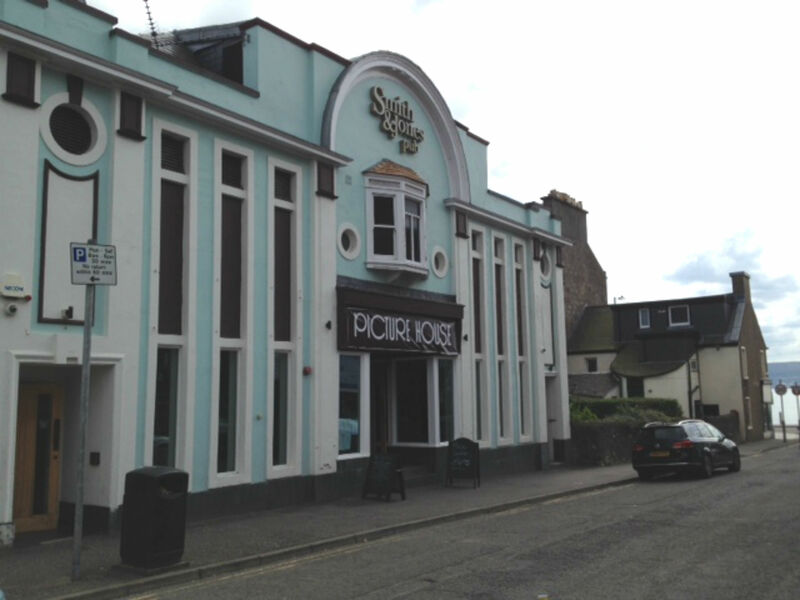 This entry was posted in Food, Helensburgh, Restaurant Review and tagged Food, Helensburgh, Lunch, Restaurant. Bookmark the permalink.